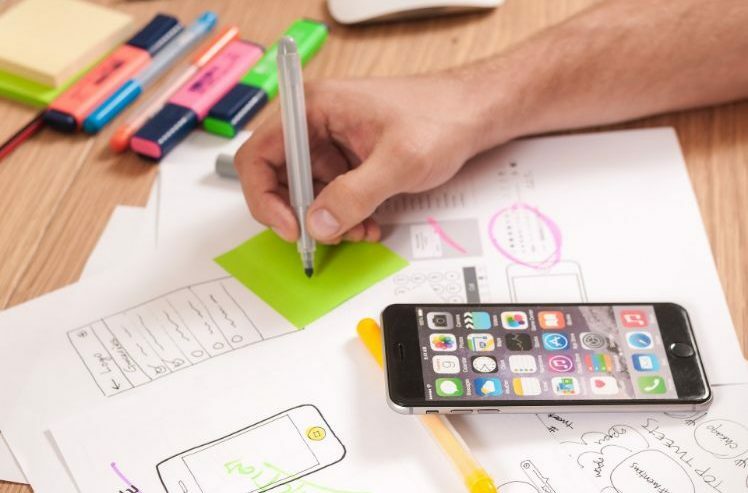 In the development process of applications, we come across two other essential characteristics besides functionality: usability and user experience, both part of the mobile app design. A mobile application should be evaluated from the point of view of the user itself. In other words, even if it has to fulfill its corporate function, we must also take our client’s opinion into account if we want it to succeed. To achieve this, we must pay attention to the mobile app design and its usability in the development process of games and applications in general. To reach an optimal usability and user experience, we must bear in mind the type of device, operating system and corporate image of the company. In the development process of an application, it is important to be aware of these parameters before starting to create an app. If the mobile app developers of your project do not have any knowledge of design and usability, you shall consult an expert who can take care of that crucial part. It is also possible that the development of an application has been completed, and it is needed to solve some design and usability problems that occurred after the launch. Although, if an application is working well or already has the majority of its market in use, it will work without problems. For example, if Google Maps had not invested in design, it would probably still be utilized by many users because it is a popular and well-functioning tool. However, a strong mobile app design will help to improve the user experience, capture new leads, and add value to its functionality. To reshape the design and usability of mobile applications it will be necessary to change the development process by experts who know how to handle this. But we must be cautious. Design and usability are dissimilar but one is strongly depending on the other. The mobile app design shall be depending on the usability and never the other way around. As both are included in the development process, it is significant that the programmer works closely with the designer in order to be working towards the same goals. Before realizing the wireframes for the development of your application, you should be able to define the functionality of the app first without talking about the design yet. This shall allow you to establish a simple, functional navigation and to detect possible errors easily. Fixing bugs at this early stage of the app development process will help you to avoid later modifications to the design as well. Once the usability and functionality are covered, we can get down to business on the mobile app design. The corporate colors and logo, for example, can be included to represent the brand or company of the app. In case it is a new app, you can, of course, use it to empower a new brand that will be recognised easily by its future users. It is important to know how to combine trends in app design, such as ‘flat design‘ which is popular in the creation of webs. This type of design makes the images of the brands be shown correctly on mobile devices as well. It is significant to communicate the implementation of such trends to your app developer. Although integrating many variables is not an easy task, it is essential and necessary to make your app successful. How can we help you out with your mobile app design?